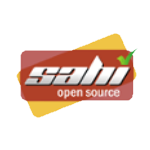 Sahi is a free, open source tool for automation of web application testing. Sahi is very tester friendly and allows easy automation of even complex web 2.0 applications with lots of AJAX content. With an excellent recorder, smart object identification, simple scripting, automatic waits and inbuilt reports, Sahi gives the tester a powerful yet simple tool to accomplish testing across various browser and OS combinations. An automation tool to test web applications. Especially targeted for testing dynamic AJAX applications. Exposes simple APIs like _in, _near etc. to identify one element with respect to another. Sahi’s playback mechanism is highly robust and does not need unnecessary wait statements. Include recorder, platform and browser independence. Sahi cannot access elements outside the browser view port. For example, it cannot click on toolbar buttons. For pages requiring integrated Windows authentication, Sahi’s Java process uses the Windows logged in user’s credentials. Only if the logged in user does not have access to the web application, will Sahi show the 401 challenge. Once logged in, it is not possible to logout of the authenticated session without restarting Sahi. Framesets/pages with frames/iframes loading pages from multiple domains is NOW supported. Sahi can now handle pages which have other pages from different domains embedded in them using iframes or frames. If you have a page from google.com having an iframe with a page from yahoo.com, Sahi will prefix the domain correctly to the recorded step.